Except for David Meade. 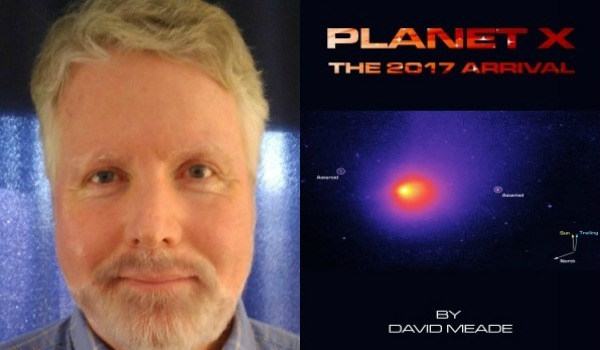 David Meade knows the day, and that day is sometime between September 20 and September 23. Meade joins a host of charismatic prophets who have claimed to know the time of the Apocalypse, including Montanus, William Miller, Harold Camping, Hon-Ming Chen, Joanna Southcott, Johannes Stoffler, a prophetic chicken in England and the Mayans. All of them, so far, have been wrong. As with every good Apocalypse prophecy, it comes with a book for sale. Meade’s is named “Planet X – the 2017 Arrival” and it has made sizeable waves in social media as some have bought into his assertions. Essentially, Meade claims that Bible numerology combined with the internal architecture of the Great Pyramid and the approach of a planet called “Nibiru” will lead the extinguishing of mankind. As the theory goes, Nibiru is a planet on the edge of our solar system, sometimes called, “Planet X.” According to Meade, he has seen a minute-and-a-half long video of Nibiru, sent to him from an astronomy professor in Paris, but hasn’t shared it because he doesn’t have permission to make it public. This planet will come close to Earth and will disrupt gravity to the point of ending the world. The dates set by Meade come from his understanding of the signs in Revelation 12 and the prophecy of Isaiah 13, combined with the position of astrological constellations, mystic-Jewish astrological mythology, and again – the design of the Great Pyramid. Meade also fits the recent solar eclipse into his doomsday scenario. All of these facts – according to Meade – leaves a window for our total destruction at September 20-23. It is possible, however, that NASA hasn’t taken into account all of the evidence from Bible numerology and Jewish-mystic astrology. In the mean time, Meade’s prophecies have sparked a whole flurry of speculations regarding the end of the world this very month. Here’s one such video of warning, below. Notice the combination of astronomy (a legitimate scientific field of study) with astrology (mystic superstition, forbidden by God repeatedly in places like Isaiah 47:13-15, Deuteronomy 18:9,12,14). If you believe the predictions of imminent collapse, Jim Bakker is offering a deal on freeze-dried pizza buckets.